Although computers, iPads, smart phones, and mobile communications devices are making it ever so easy to view the medium of film anywhere and anytime one wishes, it is still a packed movie theatre where laughs echo down the aisles and screams of terror shake the rows of seats. It is here within the curtained walls where sights and sounds combine to invite (and entertain) millions around the globe. Film allows individuals a collective opportunity to experience different cultures, explore new worlds, and engage in stories of hundreds of nations all around the world. Even with theatre admission prices continuing to rise (especially 3D and 4DX formats), the movie going experience is still considered one of the most affordable entertainment options for consumers (Huffington Post). actually refer to a singular location in California, the name has grown to have global connotations beyond the United States west coast filming community. Historically speaking, the global filming community had long used the Hollywood studios-model as the basis for filmmaking, and in many ways they still do. Yet, when it comes to filling the seats in theatres (especially in the international market), Hollywood execs have had to rethink the way they do business. According to the Motion Picture Association of America (MPAA), $11.1 billion in movie tickets were sold to Americans and Canadians in 2017. And while those numbers are astounding, the North American region is not the primary source for making money currently. The Asia/Pacific market is the fastest growing, and in 2017 it brought in $16 billion of the $29.5 total billion international take. The international box office is showing tremendous growth and is up 18 percent compared to 2013, and the global box office is up 13 percent during that same span as noted in the MPAA. The growth and stability in worldwide audiences is not limited to China and India. From the Middle East, to Brazil, to Russia, and nearly every international region in between, the impact of the movie-going experience is making profits for studios in ways they did not predict a few years ago. Mountains actually discovered the power of the foreign film market back in 1973. Earl Owensby was a former mill worker, industrial tool salesman, inventor, and entrepreneur who had a knack for experimenting (and succeeding) with unique business ventures. 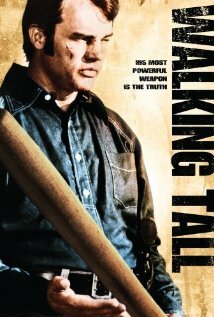 One day he decided to go into the filmmaking after watching the financial success of the film Walking Tall. 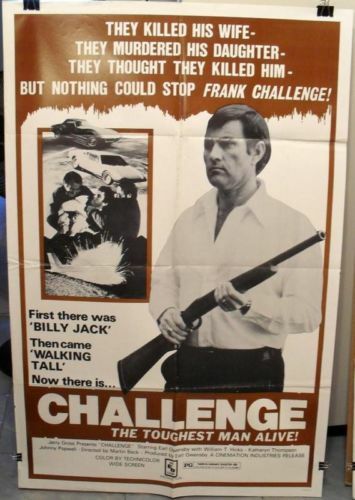 Walking Tall was a low budget action picture shot in McMinnville, Tenn., outside of the confines of the Hollywood establishment. Owensby thought he could follow the same model and logic to success, and decided to build a movie studio in between Shelby and Boiling Springs, North Carolina. His first film Challenge went on to gross over $20 million worldwide; that’s not bad for a film that cost less than $1 million to make and market. And nobody was more surprised than Owensby, that this North Carolina film he produced and also starred in, somehow found an overseas audience. In a personal interview, he shared these thoughts with me about the experience. “I accidentally stumbled into the overseas market. Cinemation Industries picked up Challenge, and paid me a lot of money. They distributed it worldwide, and when they went bankrupt, we got Challenge back. And when we got Challenge back, we also got the books and the auditing on it, and that’s how I realized there’s an international market. People over in South Africa paid over $20,000 for the rights to show it, and in Germany, like $80,000. I was like ‘wait a minute, you mean these people are buying it.’ When I first made the movie I was thinking about getting it in Georgia, North and South Carolina, it ain’t going to be New York and Hollywood. But all of a sudden it was there. (After that) I didn’t care if my movies were ever released here or not, it didn’t make no difference to me. I was like, if you want to play it, play it. If you don’t, well, I wasn’t going to worry about it, because I had that cash flow coming from the international market,” said Owensby. His films would also go on to be dubbed in multiple languages including Russian, Spanish, Swedish, and African dialects. Foreign audiences also appreciate being “wowed” and Owensby understood that. He became the first filmmaker to make a 3D film in the U.S. in 25 years in the 1970s. 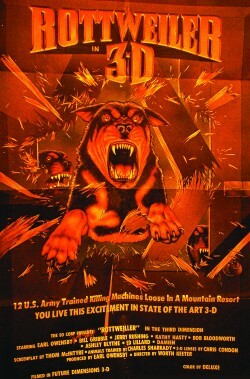 He went on to produce six 3D features during the ’70s and ‘80s before 3D fizzled out. As a matter of fact, it was Owensby who inspired Oscar-winning director James Cameron to pursue the 3D market, after he brought him to the Carolinas and Earl Owensby Studios to film the sci-fi epic The Abyss. In Asia, 3D is the reigning format king. U.S. made 3D films are 81% more likely to find success than the 2D counterparts internationally according to the Owensby, and the Motion Picture Association of America (MPAA) concurs. 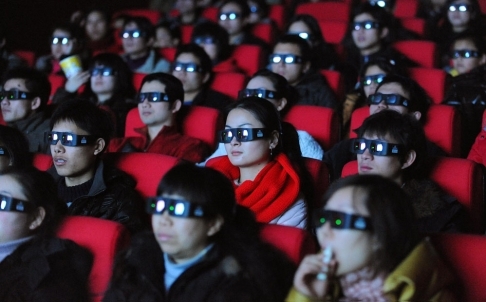 Owensby said that for 3D, it is all about the “Gimmick” for foreign audiences. But American audiences want the “story” to connect with them as well. 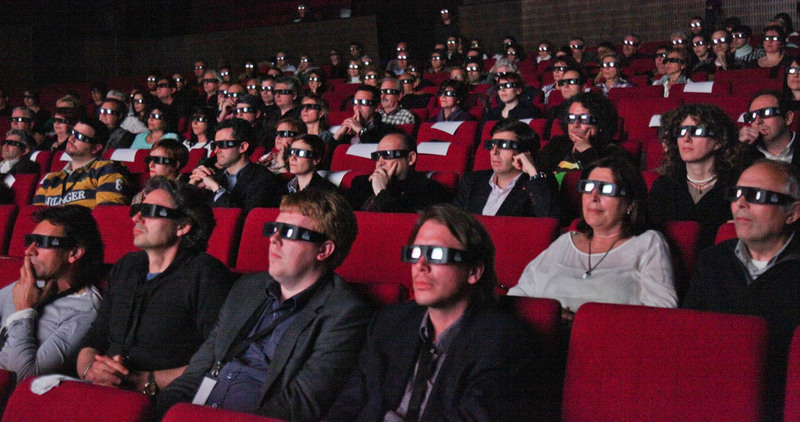 That holds true according to the MPAA, as 3D films released domestically in the U.S. and Canada continue to decline in theatre visits (by audiences). Owensby agrees that the number may continue to dwindle, and says that has always been the case with U.S. audiences and 3D films. It’s a fickle love/hate relationship. According to Owensby, before 1998, the foreign markets were accounting for less than half of the total box office for most major studio films. Yet something happened, something clicked, and a growing plan for international markets began to take root. 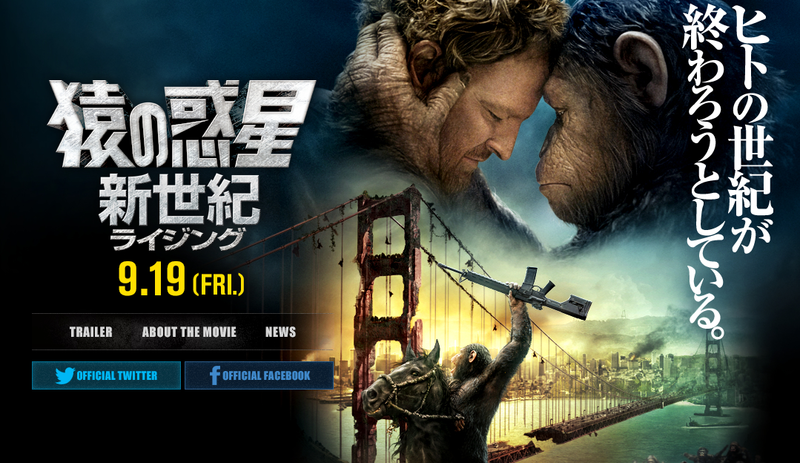 And today, all major studios have international divisions designed to develop foreign release strategies. Today, those plans are paying off, and the Motion Picture Association of America (MPAA) reports that 73% of the total box office receipts come from outside of the U.S. and Canada. Since the late 1990s, international film piracy has become a major opponent for American studios profits. And that is one of the reasons, according to Owensby, that Hollywood transitioned to a more “global way of thinking.” And in making that adjustment, they discovered dollars that Owensby said were always there. But most major U.S. studios were too focused on the domestic success. It was also during that same time period that growing “middle classes” around the world began searching for affordable entertainment options, and to address that need “emerging economies around the world were building multiplex” cinemas (The Guardian, Phil Hoad). It took just over five years, but in 2004, the global box office became more than an afterthought for domestic film studios. That was the year that international sales “exploded by an incredible 44%” from the previous year. Studios then began an offensive on the global film market, and in the process, closed the doors on its less lucrative Indie/Art House Divisions (or at the very least folded production of those films into other areas). Some companies like Warner Brothers, Fox, and Universal created international arms designed to not only focus on foreign distribution, but local-language productions as well. In 2009, Warner made 40 films specifically for foreign markets, and these films were never seen in the United States or Canada (The Guardian, Phil Hoad, August 2011).According to Sanford Panitch, president of Fox International, sometimes these local-language movies are “outgrossing Hollywood films” in those areas (New York Times). The game changed, and studios had to learn how to sink or swim in this new sea of global filmmaking. This new global-thinking model has also changed distribution patterns, In times past, it was likely that international markets would screen American made films weeks, and sometimes months after a U.S release date. But that is no longer the case in some regions. For example, one of 2012s largest hits, The Avengers,had already debuted in 39 international markets before it ever screened in the U.S. and Canada according to an article in USA Today. And, 2017s release Thor: Ragnarok was released in 46 foreign locales before a wide North American release. That is something of a relatively new concept for domestic audiences according to Fox International Productions president Sanford Panitch, “I think this is really just the reality of the international marketplace becoming as a whole more important than the U.S. box office for event films.” Panitch shared these thoughts in a New York Times article on the Hollywood Global Agenda. Special effects driven-films, 3D, the emerging 4DX experiences, action/adventure, science fiction, myth-based stories, and superhero genres are the brands that reach the hearts of international audiences. Owensby discovered that as far back as 1973, and said, “if you want to make money in the foreign market, give them what they want, and you can take that statement to the bank (I sure did).” Films that are visual in nature and do not rely on dialogue to move the story is the secret to international success according to Owensby. David Hancock, the Head of Film and Cinema at IHS Screen Digest, echoes that films should have “fairly universal ideas and themes,” rather than being “culturally specific” in order to achieve international success (The Reel World). That could be why films focused on American culture, and comedies find little profit beyond North American borders. Earl Owensby was ahead of his time, and had a deep understanding of the global mindset, he believed, that just because something may not have tremendous success in your own backyard, does not mean it is doomed. In recent years, there have been some dismal box-office failures domestically, yet, somehow, someway, these films have found appeal internationally and actually turned profit (sometimes major profit). One of 2012s biggest disappointments in the U.S. was a $200 million film adapted from the Milton Bradley board game, Battleship. It only grossed $65 million on U.S. shores, but sailed strong with $238 million in foreign markets allowing hopes for a sequel to stay afloat. Other films considered flops in America in 2016 – 2017 like Valerian and the City of a Thousand Planets, Transformers: The Last Knight, Alien:Covent, Pacific Rim, Disney’s John Carter, Assassin’s Creed, and The Mummy also found success overseas. The new normal in Hollywood, is that although North America still has the largest regional box office take for most films, it is not the determining factor for financial success. Each of these films were visually-driven, and were also released in 3D and IMax formats, adding to the appeal for international audiences. Another discovery American studios have uncovered is that films with foreign stars, and locations add to the appeal for international audiences, and some movies even make major editing adjustments to bring in the overseas dollars. Iron Man 3 and Mission Impossible: Rogue Nation, for example even added a subplot, Asian film stars, and additional Chinese locations in the Asian release. 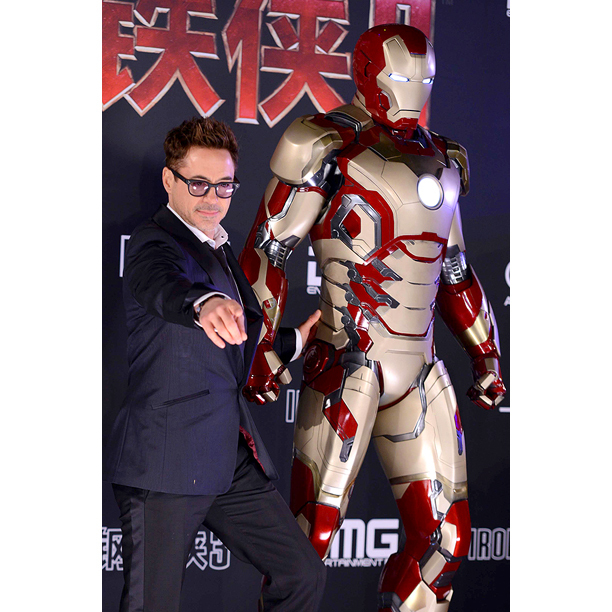 According to boxofficemojo.com, Iron Man 3 brought in over $800 million just from the international market and an additional $400 million from North American audiences. Not bad, for a $200 million produced film. Mission Impossible: Fallout (2018) brought in 72.2% of its box-office take internationally. Other films in recent years to have had success with international casts and mindsets include, Star Trek Beyond, Pacific Rim, G.I. Joe: Retaliation, the Fate of the Furious, Pirates of the Caribbean: Dead Men Tell No Tales, The Meg, Crazy Rich Asians, Ready Player One. It is not uncommon to edit American-made films for successful opportunities abroad, but this might surprise some people. Some films are heavily edited to address morality clauses, and cultural sensitivities’ for certain countries. This is a relatively interesting concept for U.S. filmmakers, but one they are willing to embrace, understanding the impact that global dollars can have on the success or failure of a film. Film executives are willing to make concessions like cutting love scenes from films like Cloud Atlas or the Titanic. 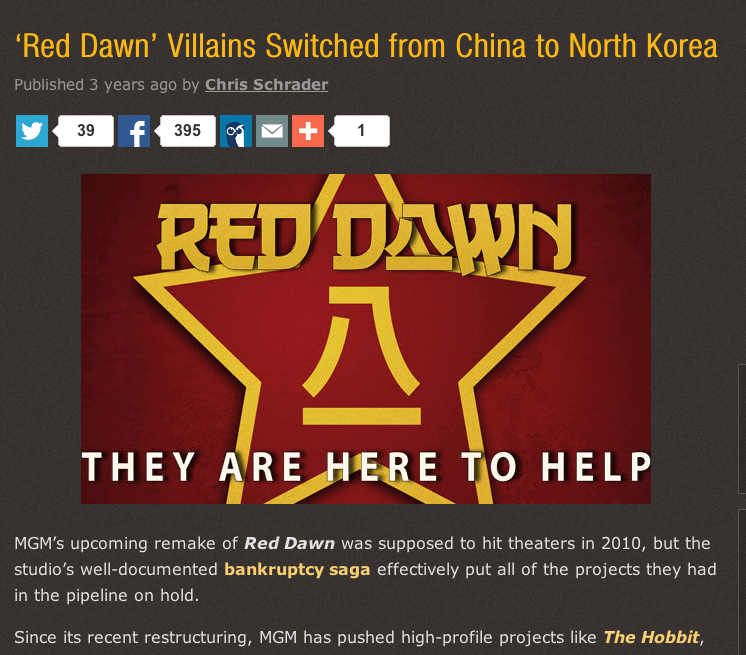 Both Red Dawn and Skyfall made adjustments to antagonists in order to find a greater success in China according to a nofilmschool.com article. And in 2013s World War Z, “references to a global zombie pandemic originating in China” were cut out of the Chinese version of the film according to Josh Rottenberg of Entertainment Weekly. The Oscar-winning Bohemian Rhapsody even adapted the original storyline and subplots so it could be screened in China. This approach to filmmaking will likely continue, as studios understand the importance of adapting to the ever-changing global film landscape. Box office receipts in Japan and India were up by nearly 44% since 2013 according to the MPAA, making those areas the largest of international growth. The growth of movie screens in China, continue to be the fastest growing marketplace for film-going audiences (up to 10 new screens added per week in 2016-17). The Asia/Pacific market has also surpassed North American screening locations (66,360 vs. 45,531) according to the MPAA & Louise Watt (Associated Press, China Overtakes U.S., 2017). 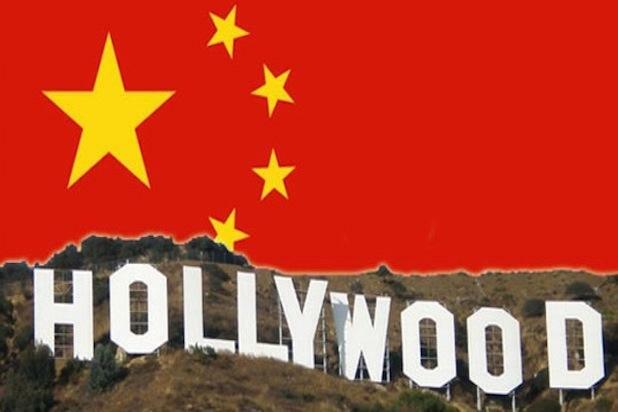 China is also limiting American-made film releases. Less than three dozen films per year are imported from U.S. studios (14 of those have to be in 3D, 4DX or IMAX formats). Film execs and government officials from both countries are working to enhance the agreement and the benefits for both countries (The Wrap,Ira Teinowitz). Owensby says giving global audiences what they want is the key for continued success for Hollywood studios, films that offer action, spectacular effects, adventure and enhanced formats will continue to find a place in the foreign market. The summer of 2018, had its share of worldwide success stories that fit that bill. And if you play the game right, even a film with America in the title, can find greater success outside of the U.S. than domestically. Don’t believe me? Then take a look at the Captain America: Civil War 64% total box office take ($745.2 million of $1.15 billion) from the foreign market as a case in point. Now, to be honest here, in certain countries the name Captain America was changed to provide an easier sell.